Being a volunteer at the Royal Netherlands Air Force Historical Flight is a lot of fun. Being part of a group of aviation enthusiasts and history geeks really is great. But it is also a lot of work, all in the free hours, a balance between spending time with your family and spending time at the airbase. And then there is this moment: a ninety+ years former Spitfire pilot is asked by a nice lady if he was part of the people that liberated them from the Germans (he was not, in his own words "I am just a few years too young"). 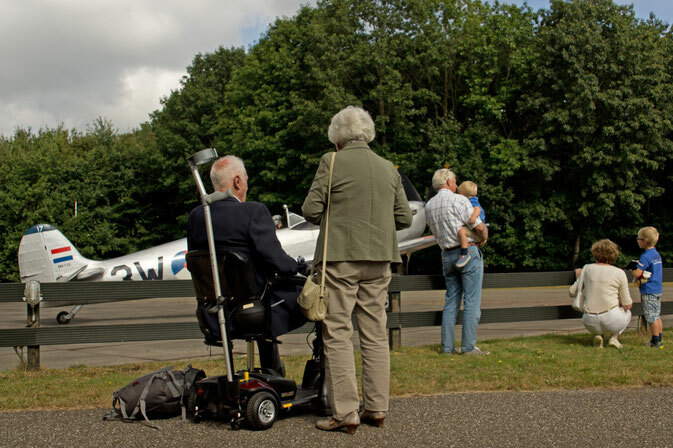 And at the same time two little boys are waiting in anticipation for our D-day veteran Spitfire to fire up the engines. I captured the scene with goosebumps all over my body. What a great feeling to be part of a group of people who make this happen!